Barça Lassa ended the year at the Palau Blaugrana with their 12th victory in the domestic competition, against Monbaru Obradorio (79-73). 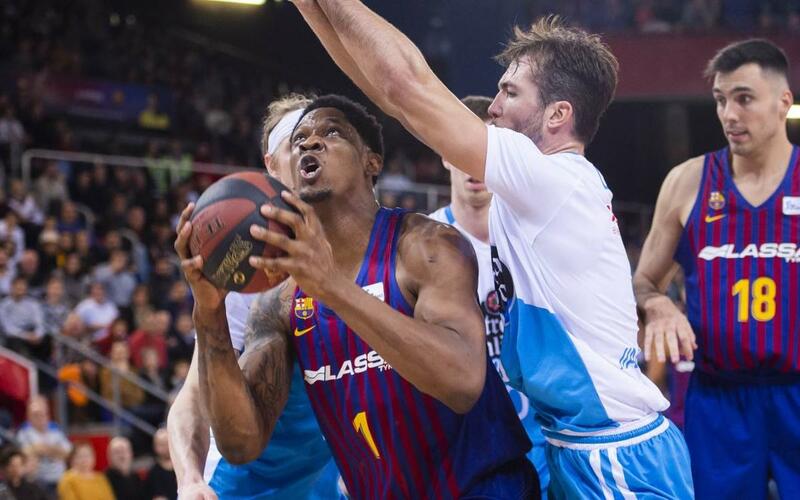 It was a hard-fought game which was only won definitively in the last period thanks to Kevin Seraphin, who made his first double-double for Barça Lassa. The Galicians were very successful from the perimeter early on, with three consecutive triples taking them into a surprising 0-11 lead (min 3). However, the Blaugrana came storming back and by the end of the opening period were only behind by a point (19-20). With Seraphin constantly involved, and scoring five consecutive points, Barça Lassa edged ahead in the second period (26-20, min 15). Another triple from the visitors kept them in touch, though Kuric and Seraphin would ensure a five-point gap at the break (37-32). An exchange of baskets in the opening stages of the third period moved the score on (46-39, min 25), however, with each defence then gaining a foothold, there wasn’t much in the way of action at the basket before the referee’s whistle brought the period to a close (52-49). Seraphin inspired his team both in attack and defence as Barça went for it in the final period. Two triples; one from Orihuela and the other from Hanga, saw the hosts extend the lead (60-53, min 34), and in the final moments the culés ended up consolidating the victory.